Happy B-day to our amazing stampotique designer, Vicki! 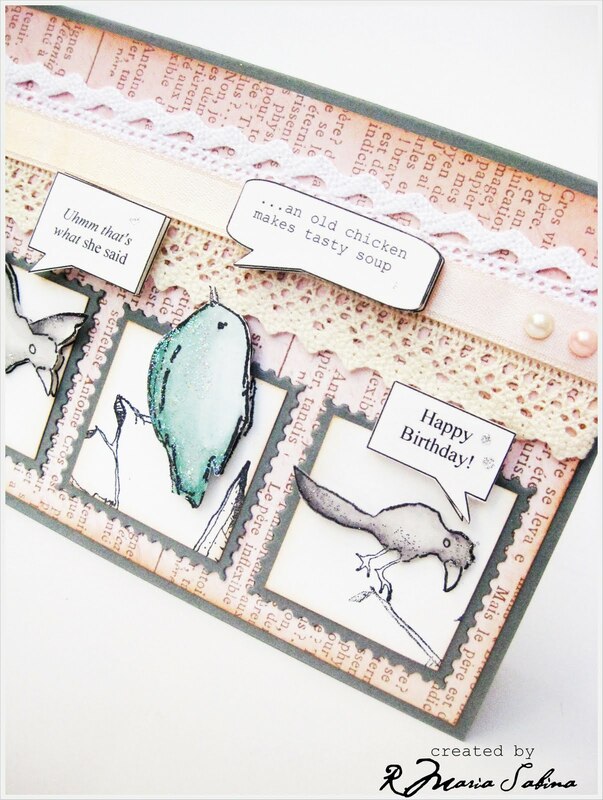 So, Vicki is challenging you to create a fun /humorous birthday card.Are you ready? Here's my humorous card for her b-day. 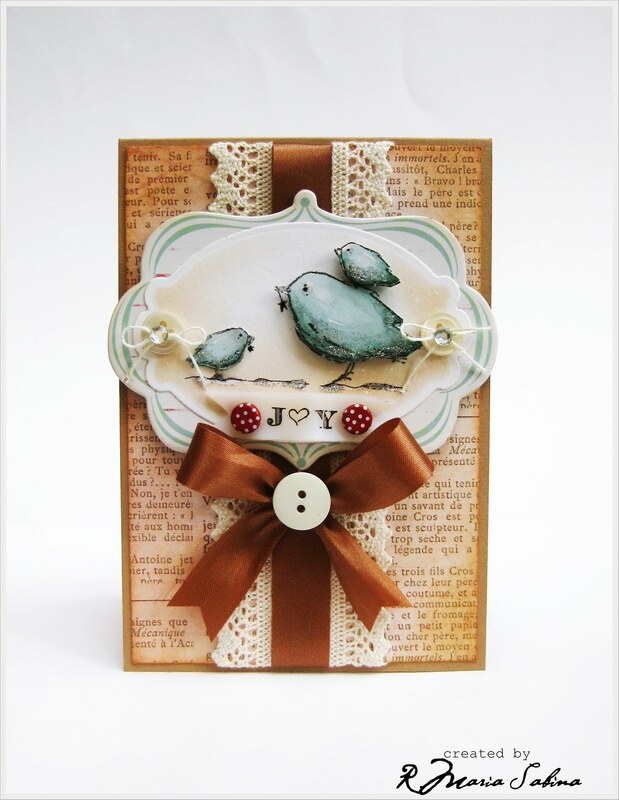 For my card I used: Starbird with chick, Birds and bugs cube and Tree stamps all by Stampotique Originals. Come join us for a chance to win a $30 gift certificate to shop at Stampotique Originals. Thank you to all who sent their good wishes in response to my previous post.I really appreciate it. 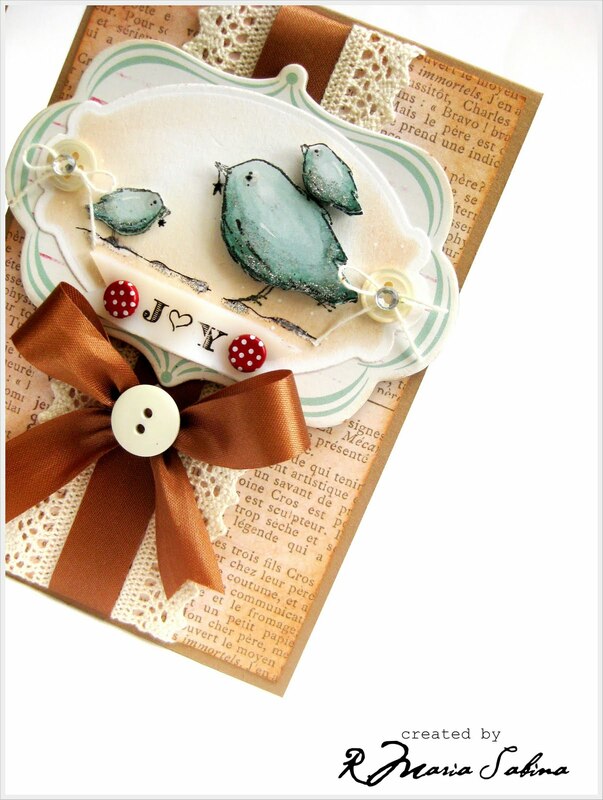 Today I would like to share with you a new card. 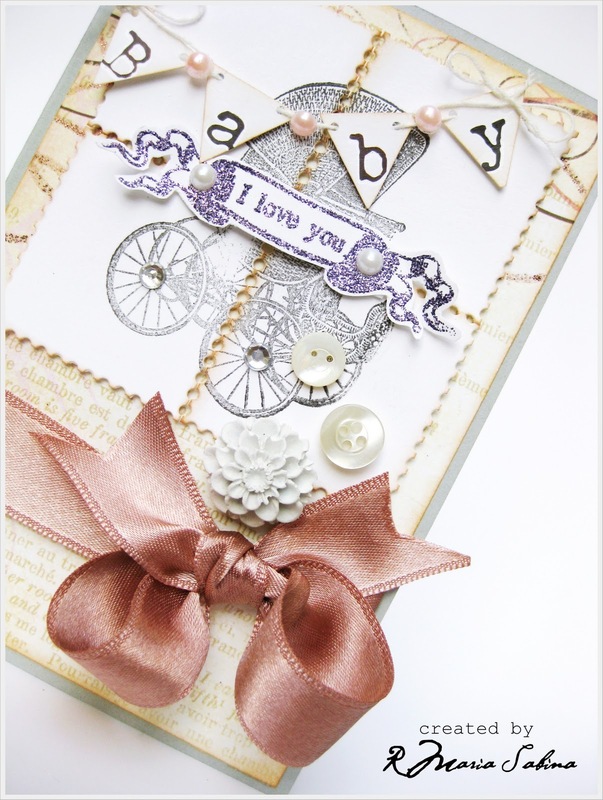 A sweet baby card. I love this color combination. 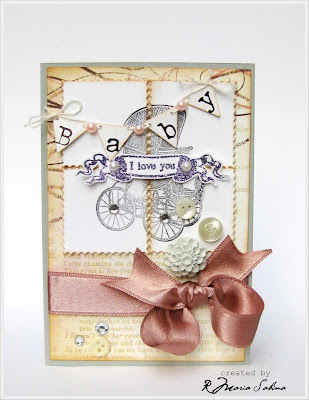 So shabby and cute. 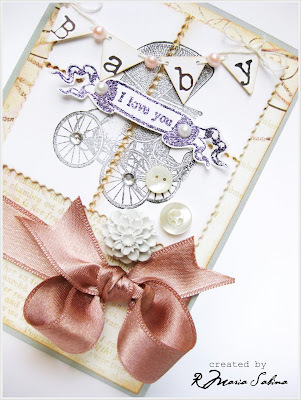 For this card I used: Baby Buggy and I love you scroll stamps by Stampotique Originals.Please check out the new stamps sept/2011 by Stampotique.Click here. I ♥ ♥ ♥ this quote! 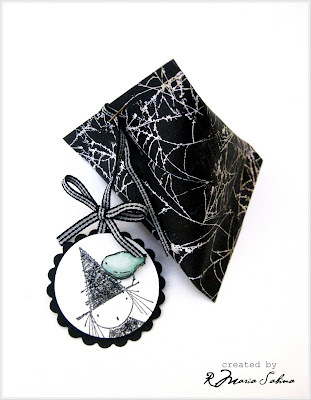 ......I'm on Scrappy Happiness Kit Club Design team! Thank you so much Drew for this amazing opportunity! Check out his website and meet our design team members. Don't forget to check out his Shkitclub. See you soon with new crafty projects and tutorials. 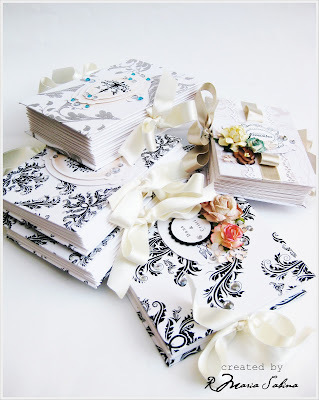 I've been very busy making mini albums for a good friend.It took me a while and to be honest, I need a hot chocolate now. Five mini albums.I really love that ribbon . I should get some more. I really like accordion mini albums.It's fun and more interesting than a regular mini album. 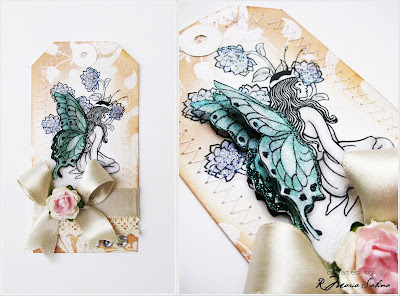 I'm not really into fairies but I just love these digi stamps .Click here. Last but not least , a non-traditional X-mas card. Pretty simple. That's all for today.Thanks so much for joining me here today! Have a wonderful weekend. Are you ready for a new Stampotique Designer's Challenge? 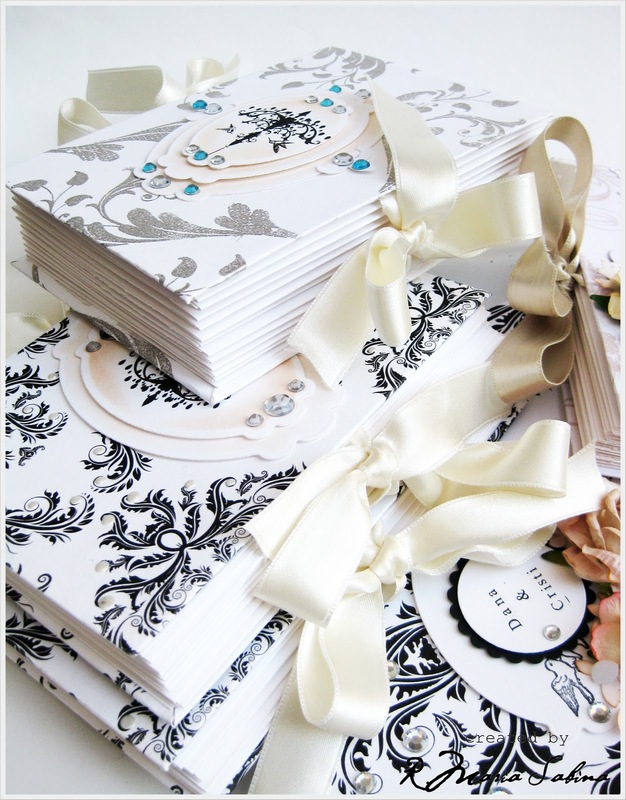 This week Kaz is challenging you to create a black and white creation, plus add a hint of one other colour. For my circle tag I used: Corie and Starbird with chick stamps by Stampotique Originals. Such a cold and dizzy morning * sleepy*. Today I have a quick blog post to share with you all.I have been making jewelry for few years now and Carol from Stampotique Originals told me about Poly Shrink.She also sent me 3 different packs of poly shrink: Translucent ( my favorite one) Clear and White. Thank you Carol! I ♥ this necklace. 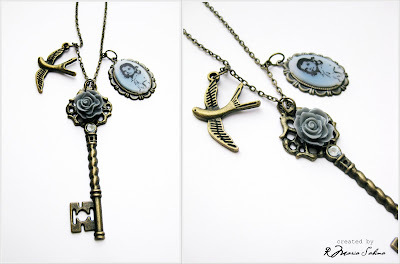 This is one of my favorite necklaces ever! 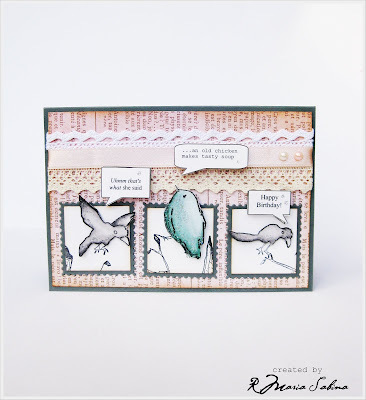 For this one I used my favorite stamp: Olive Rose by Stampotique Originals. 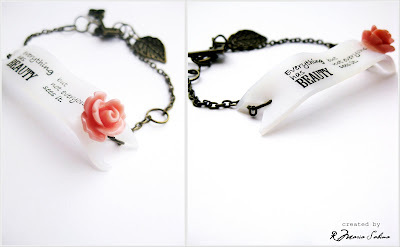 For this bracelet I used Poly Shrink - Translucent and Beauty stamp from Stampotique Originals. I really had so much fun making the shrink banner. I ♥ it! 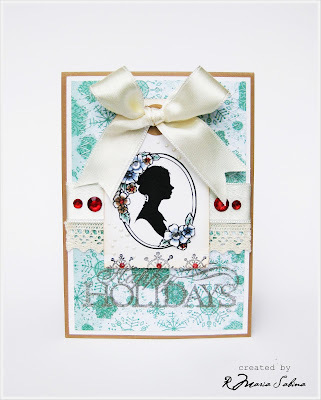 PS : Don't forget:Stampotique Designer's Challenge BLOG HOP: more details here. Oh! What a night! * sad face* I started to have pain in my right arm, bellow the shoulder and let me tell you something, I can't sleep...busy day today. 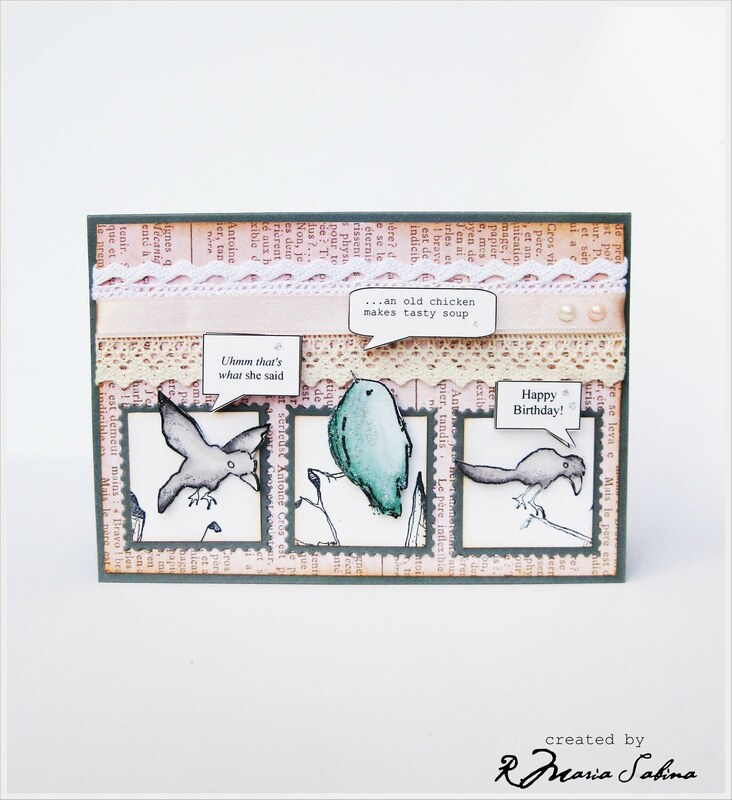 What woudl you like to see on my blog?And the answer is : Cards 23 (53%) .That means today I will share a new card with you all. Please check out the new Stampotique sept 2011 stamps. 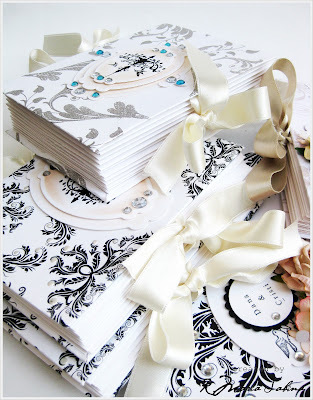 Great stamps and design ! For my card I used Starbird with chick by Stampotique Originals ! 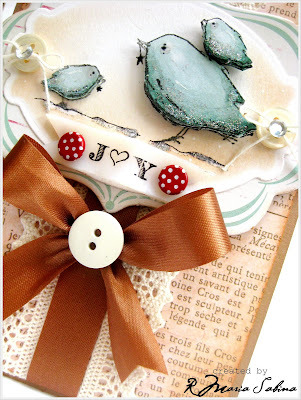 I love the lil' bird! so cute!